So my son and I are reading this excellent book called Maps: Finding Our Place in the World, and so far I have found two elements that just beg to be connected to narrative sensemaking. They are both in the chapter by Denis Cosgrove on world maps. First, Cosgrove talks about how we think of the words "world," "earth" and "globe" differently than people did in the past. To us, they all mean pretty much the same thing, but this is a new experience in human history. "World" is a social concept. 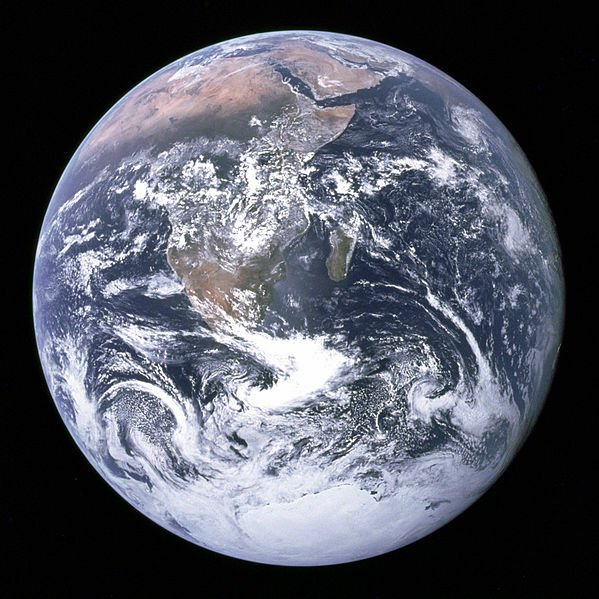 ... "Earth" refers today to the planet that sustains life; its reference is elemental rather than social. 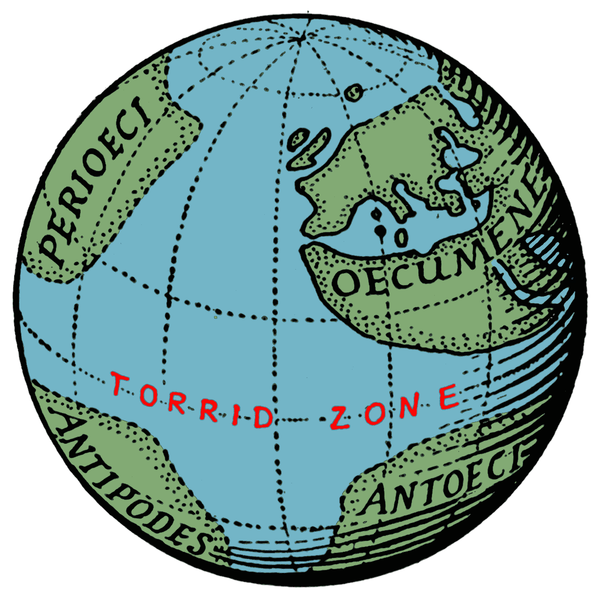 "Globe" is a geometric term, another word for a sphere. ... 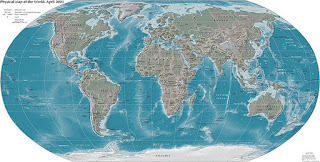 The relationship between the globe and the modern world map is close. ... The modern, scientific conception of the world extends to the whole of the globe and encompasses the whole earth, which is why these three terms are now interchangeable. Any world is a totality and has spatial boundaries, but the coincidence of the world's boundaries with the planetary globe's is a modern conception, a consequence as much as a cause of maps. 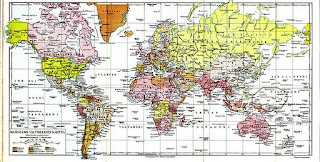 To me today, this globe looks like a sweater too small for its wearer: there is not enough fabric to cover the space. 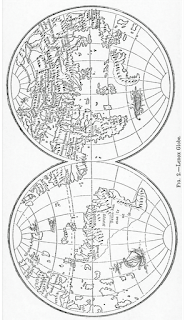 The Hunt-Lenox globe, built around 1510, showed South America as one continent, but North America as a series of small islands, nothing more being known about it at the time. The globe belongs to the New York Public Library on whose site photographs can be seen; here is a drawing of it from the Encyclopedia Brittanica of 1874 (the image of which I found in this article). What amazes me about these early globes is that people built a coherent representation of the world as a sphere even though they were missing part of it. They sewed together the edges of what they knew to be so as to make it into the shape they knew it had to take. This is a perfect analogue to sensemaking: we take what we know and form it into something that represents what must be. We give it coherence and form through our efforts to make sense of it. 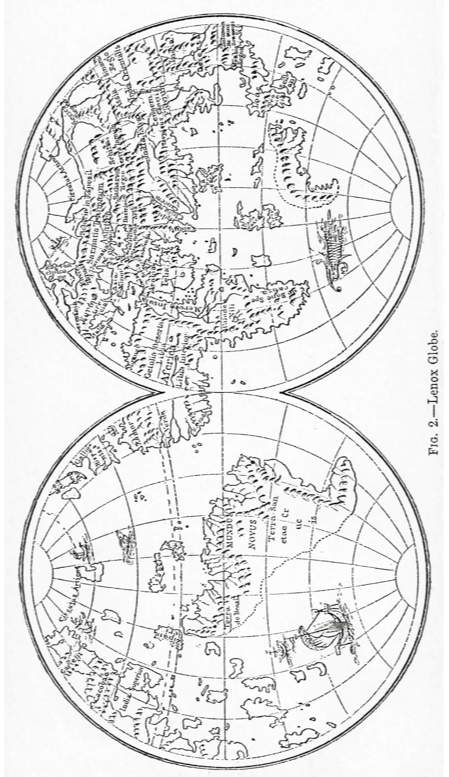 Imagine what it must have been like to build and use such incomplete globes, then find out about the New World in its entirety. It would be like us finding another earth, teeming with life, hiding behind the moon. How would our sensemaking cope with that? How would we change? 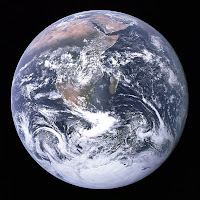 The 1972 photograph taken by NASA's Apollo 17 astronauts, unique as an eye-witness photograph of humans' home planet, ... is certainly not thought of as a "map," although it shares many technical aspects with world maps, and has influenced considerably the design of subsequent world maps -- for example the disappearance of the graticule (grid) of latitude and longitude, the "photographic" appearance, and the use of "natural" color on many wall and atlas maps today. So our maps, our conceptual representations of the world we live in, have changed to more closely match our enlarged experience of the world. If you are as old as I am or older, and you can remember your first sight of that first photograph of the planet, you can verify this fact. 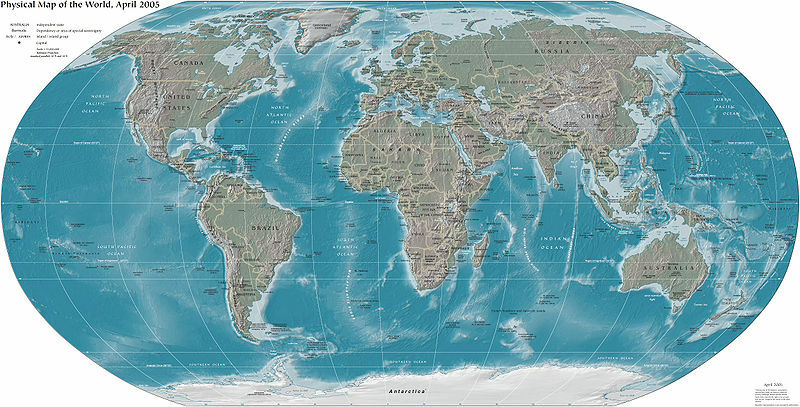 I remember globes and maps with stronger grids and less-natural colors, and I do now own and often look at maps that look more like the "real" earth, as we know it now. I had not noticed the difference! Have you? To illustrate, this first example is from a 1925 encyclopedia, and the second is from the 2004 CIA World Factbook. I wanted to find a 1960s (or better, early 1970s) example but failed (probably because I was looking on Wikipedia's Wikimedia commons site for images I could legally copy). 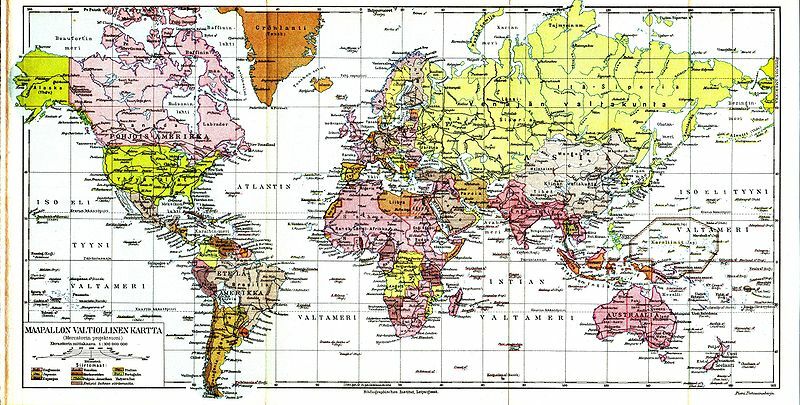 Today we don't sew together what we know from maps to create a globe; we take apart what we know of the globe (meaning, today, the planet) to create maps. The grids and false colors that once helped us make sense of what we were piecing together now stand in the way of making sense of what we see. I guess the question is: what are we sewing together now? I don't know exactly what to make of this idea -- yet -- but it has something to do with sensemaking and narrative. My mind has been clutching the idea, mumbling to itself and and running around in circles ever since I came across it a few days ago. I thought I'd tell you about it because it might spark some thoughts in your mind before my mind gets around to telling me what it wants to do with it.